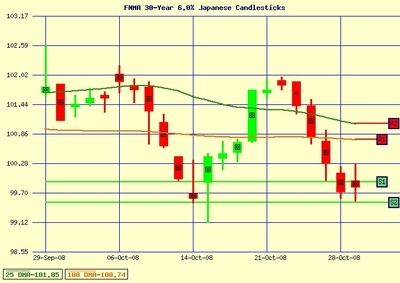 Tampa Mortgages – Will Fed’s Rate Cut in October help Tampa Bay Home Buyers Now? Will Feds Cut rate cut help Tampa Bay home buyers get lower Tampa Mortgages Now? The Fed funds rate target is now 1%, the lowest level in more than four years. In announcing its decision, the Federal Open Market Committee cited a drop in spending by consumers and businesses, and predicted that consumption may slow further due to tighter lending standards. Why’s the economy in the tank? You just aren’t spending enough money, Joe the Plumber. Of course, you can’t borrow any either so you’re hesitant about spending. Hence, the Fed cut in rate. Normally, a Fed cut should be followed by a RISE in mortgage rates but it looks like the mortgage-backed securities market anticipated the cut a week ago. …and I think the market overreacted which means I think we’ll see lower mortgage rates into the beginning of November. What’s this mean for those buying a Home on Tampa Home Mortgages? Cyndee, No doubt Brian Brady is an expert in this field. I truly hope all these cuts help the local markets all over the country.